Yes, with our dining room updates going on (an update this week, I promise! ), I most definitely have decorating on the brain! 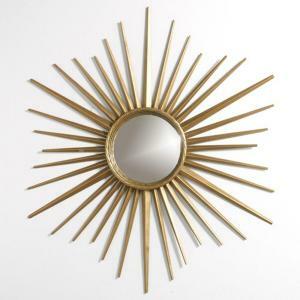 And one thing that I am loving are mirrors. Our home definitely doesn’t have enough of them – aside from two bathroom mirrors and a door mirror in our entry way, we had zero up until a few months ago! But since they can add so much light and interest to a room, I’ve been slowly figuring out how to add them in. Crush #1 – A full length mirror is a must-have. We recently purchased the Hemnes from Ikea to put in our bedroom and I really can’t believe I lived without one for so long. I’m just hoping I didn’t wear any hideous outfit combinations when Mr. Lemon wasn’t there to stop me. Crush #3 – I absolutely love this mirror wall installation for a party! Simply Sienna styled the party, featured on Spaceships and Laser Beams, for a boy’s christening, but I think it would be beautiful for a wedding or shower as well. 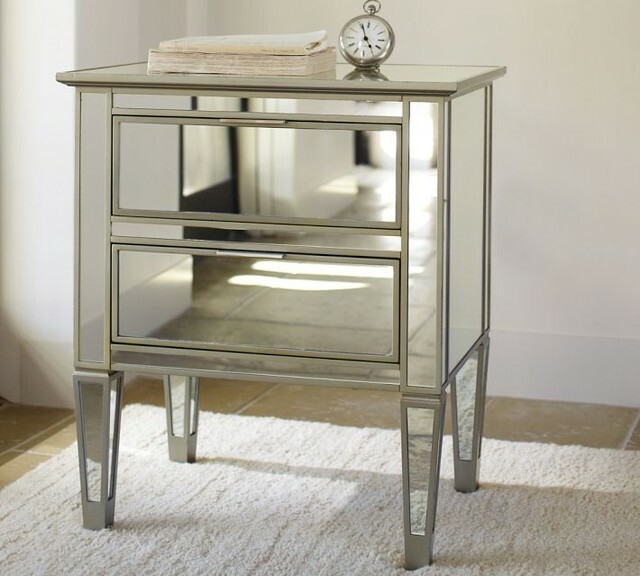 Crush #5 – Not that I would do an entire set of mirrored furniture, but I do admit to loving a mirrored piece or two. Just a touch of Hollywood Regency – so much glam factor! This nightstand from Pottery Barn fits the bill perfectly to add just a bit of fancy. This entry was posted in Crushworthy, Home Decor and tagged home decor. Bookmark the permalink.